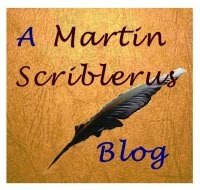 The Pub Curmudgeon: Wells I never! Many industry watchers were taken by surprise at yesterday’s news that Marston’s were to acquire the brewing interests of Charles Wells for £55m. While Wells are not particularly prominent as pub operators, they also own the Young’s, Courage and McEwan’s brands and are major players in both the cask and premium bottled ale sectors. Production figures are hard to come by, but my understanding is that they, alongside Greene King and Marston’s, formed the “Big Three” of British-owned brewers, and this deal will clearly propel Marston’s into first place. Marston’s have a fairly good track record in keeping open the breweries they have acquired, as acknowledged in CAMRA’s very measured press release, and I’d say there is little immediate threat to either the brands or the Bedford brewery. It’s a large, modern plant and possibly has a brighter long-term future than some of Marston’s other sites. However, the deal takes a major player out of the market and must, to some extent, reduce the amount of competition. Inevitably, some beers will be singled out for investment and promotion while others, while remaining in production, are allowed to linger on in zombie brand status without any active support. It isn’t an immediate hammer-blow, but in the long term it isn’t really going to be good news. The reduction of competition will be felt less in the cask sector than in premium bottled ales, where Marston’s, as well as their own label, Banks’s, Jennings, Wychwood and Ringwood, have recently acquired Wainwright and Lancaster Bomber from Thwaites, and have now added the four Wells brands on top of that. A surprising proportion of the shelf space will now be occupied by the products of one company. And, if times become harder in the future, the pressure will come for rationalisation of both brands and production facilities. A few years ago, I was kindly given a number of samples of Wells & Youngs’s beers (as they then were) for tasting, which I reported on here. 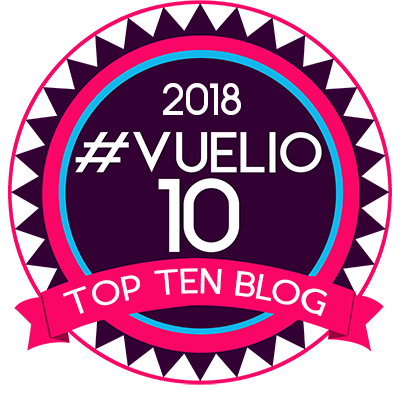 The conclusion was that they were a generally high-quality range of beers that demonstrated accomplished brewing skills and brought something distinctive to the market. It would be a pity if that were to be eroded over time. 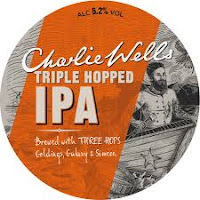 More recently they have introduced Charlie Wells Triple Hopped IPA, which is not really the “hop monster” the name might imply, but overlays a strong hop element on Well’s characteristic dry, malty base and is one of my favourites amongst currently available bottled ales. By disposing of their brewing interests, Charles Wells will lose what made them distinctive, and end up just becoming yet another pub company. 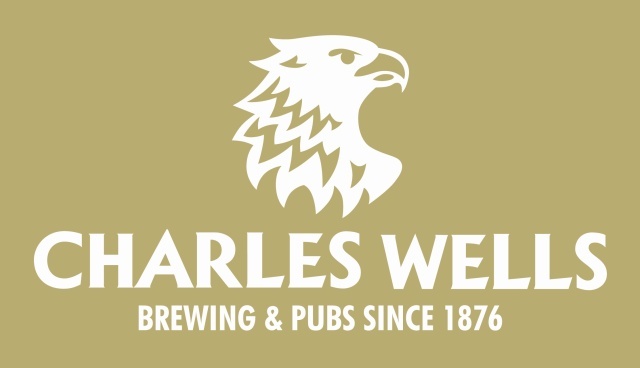 Charles Wells will keep the Charles Wells brand and establish its own small scale brewery, so potentially Marstons may invest in the Courage brands (for the South East) and McEwans (for Scotland). Long term, say ten years hence, I can see the brewery site eing sold as neither Courage nor McEwans has a tie to Bedford. But that's a long time ahead. Presumably Marston's are getting Bombardier, which must be the jewel in the crown as far as the brands are concerned. IIRC the McEwan's beers are brewed under contract at Caledonian, not at Bedford. McEwan's draught beers are brewed by Caledonian in Edinburgh but McEwan's canned and bottled beers are brewed by Charles Wells in Bedford. As you say, Bombardier was Charles Wells' key brand. Just seen that the deal also includes Bombardier, so I can see this being brand being pushed nationally minus the Charles Well branding, in the same way that Wainwrights has been. Mudgie, as you say Marstons have a reasonably good record of keeping breweries open when they buy them but it's not entirely unblemished. Back in the 1980s they bought the Border Brewery in Wrexham, probably for its large tied estate. Having promised to keep the brewery open, they closed it within 12 months. They then promised to brew the Border ales in Burton but went back on that one too. Marstons has a good record of keeping breweries open but I can see Bedford closing in ten years when Charles Wells branded beer is brewed by Charles Wells again. The brands brewed in Bedford (Bombardier, McEwans, Youngs, Courage) aren't identified with Bedford but Jennings is with Cockermouth and Marstons with Burton on Trent. So if the economics favour site consolidation elsewhere then I can see Bedford being vulnerable. Bedford's strength is its proximity to London and its up-to-date canning and other equipment and the latter advantage will expire over time. Border was a worn-out brewery with an estate of mostly low-end pubs. With the benefit of hindsight it doesn't like such a brilliant acquisition. It would be interesting to know how many of the original Border pubs are still open in 2017. Also bear in mind that was the original Marston's company. The current company is basically Wolverhampton & Dudley in drag. I can't see Bedford closing at all. It's a modern high-capacity plant but more importantly has a modern canning and bottling facility and I'd imagine the purchase brings with it the vast volumes of contract own label brewing carried out there so apart from the brands, I'd say the main reason for this deal is for the additional capacity and the 'hidden' sales. Good point, Mudgie. I still have soft spot for Border as it was my home town brewery. A very swift glance though WhatPub brings up 21 ex-Border pubs still going in Wrexham and the immediate area, including the Bridge End, Ruabon, CAMRA Pub of the Year 2011. Not a lot over an estate of 170-odd but I haven't looked at the pubs in Cheshire and Shropshire, of which there were a fair few. Wrexham wasn't as Border-dominated as I had thought/remembered, there were quite a few Bass and Ind Coope pubs, many of which have closed. Plus there a couple of J W Lees and even a couple of Robbies (both of which are still going). If Wells are doing a Thwaites' (bloody apostrophes) there may be no great harm done to the interesting end of the beer range. It'll be worth keeping an eye on Young's-branded beers in particular - hopefully Wells will hang on to them, or at least the good ones. Oops - just noticed they're included in the sale. That is bad news. I think the Young's volume is needed to keep the Eagle Brewery viable.